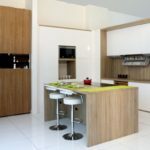 Preparing and cooking food in a beautifully designed space equipped with modern custom kitchen furniture is the dream of many homeowners and those with a passion for making good food. 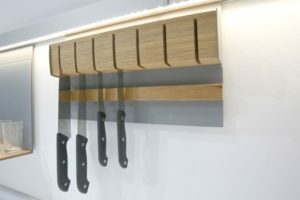 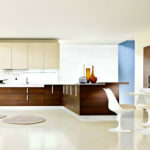 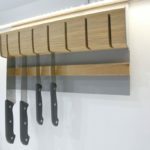 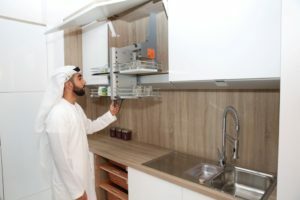 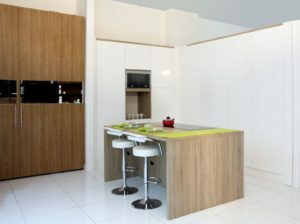 Farmazan is a reputable maker of furniture in U.A.E that can turn dream kitchens into a reality and give you the ideal space where you can realise your dreams of being a top-rated chef in your own home. 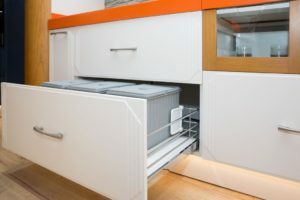 The distinguishing trait of Farmazan is we always make sure to listen to our clients – not just at the start, but throughout the entire process. 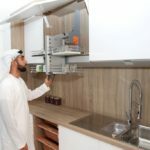 With us, you can be assured your input is valued and taken into consideration, particularly in the process of drawing up possible kitchen designs for your home in UAE. 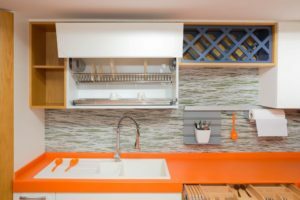 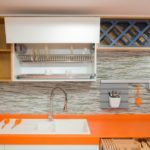 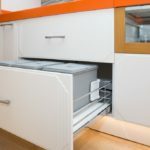 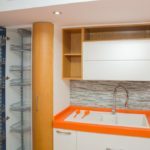 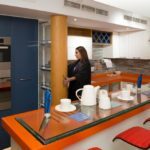 Whether you want overhead or base cabinets, or if you prefer to have a variety of wall and freestanding cabinet units, we will ensure to incorporate it in the design. 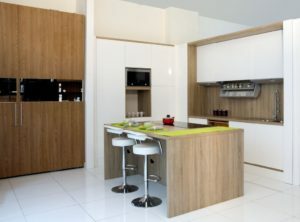 You can likewise expect us to custom build tall kitchen cabinets and shelves according to your planned use and available space. 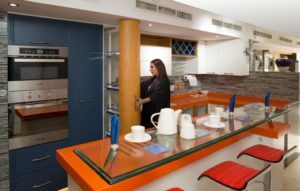 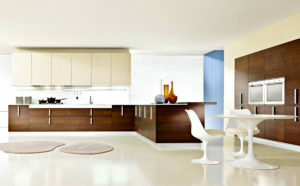 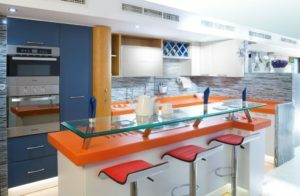 One of the things our clients in UAE like about Farmazan is we make sure to turn over a complete kitchen design project. 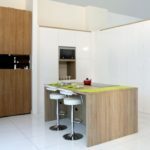 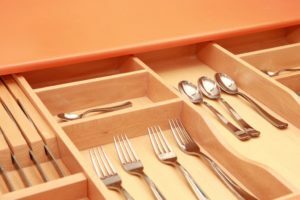 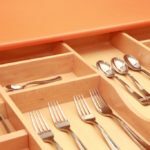 As a furniture company that provides myriad custom kitchen furniture available at reasonable prices, our valuable clientele expects us to outfit their kitchens with trendy pieces that complement or enhance the overall design. 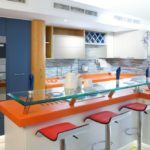 We have a wide array of exquisitely design furniture and accessories, including bar stools, tables and chairs, and even doors and cabinet handles. 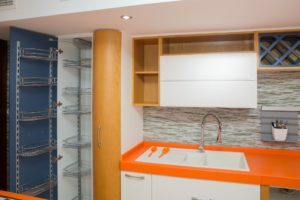 Whatever our clients need to complete the design of their kitchens, we ensure they will find the perfect piece and fit from our vast collection.